At Silver Fox, we love our steaks. But that’s not all we love, we also love our cocktails! We have spent countless hours crafting the perfect cocktail list for our menu and we can’t wait for you to stop in and try them! Not feeling adventurous or just want to stick with the classics? We have just what you need. Try one of our Tito’s Handmade Martinis, made with Tito’s Handmade Vodka, 1888 Hand-Pressed Olive Juice, bacon and blue cheese-stuffed olives. Sip on a refreshing Ketel One Mule, made with Ketel One Vodka, ginger beer, and fresh lime juice. Or go simple with our Manhattan, made from Woodford Reserve Bourbon, maple syrup, sweet vermouth, Angostura bitters, and Pig Candy. Want to try something a little out of the ordinary? How about The Jasmine, made with Grey Goose Vodka, Solerno Blood Orange Liqueur, rose water syrup, and fresh lemon juice? Perhaps you’d enjoy a Love Potion, made with our strawberry infused Absolut Elyx Vodka, Cointreau Orange Liqueur, lime juice, Monin agave nectar, and mint? You definitely can’t go wrong with a Blackberry Smash, made with Jameson Black Barrel Irish Whiskey, fresh lime juice and lemon juice, Monin blackberry purée, and Topo Chico. Even more fun, we offer you the chance to create your own drink with our seasonal selections: the Mediterranean G&T and our limited edition Italian Soda Spritz. 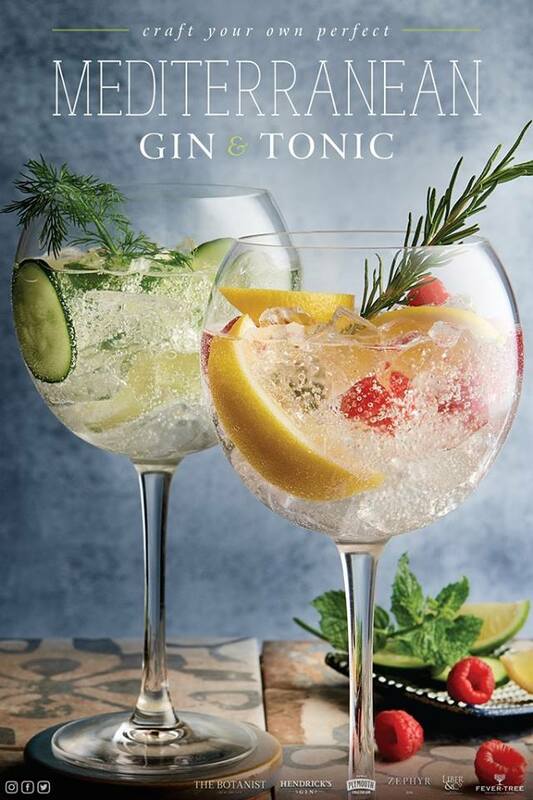 Our Mediterranean G&T allows you to select your favorite type of gin, add tonic water and choose one of 3 garnishes. The Italian Soda Spritz is made with Tito’s Handmade Vodka, Amaretto Disaronno, Monin Orgeat Syrup, lemon juice, and club soda. We know you’ll love your tasty creation! You also can’t go wrong with our Perfect Patrón Margarita, made with Patrón Silver Tequila, Patrón Citrónge Liqueur, fresh sweet and sour, and orange juice. Or our Tangarita, made with Herradura Reposado Tequila, Cointreau Orange Liqueur, Mango Reàl, fresh lime juice, and tamarind nectar. No matter which delicious drink you choose, it will be the perfect addition to your meal!